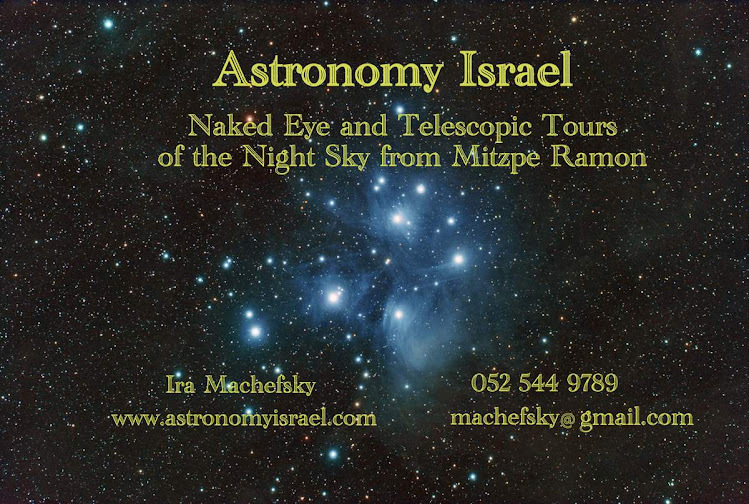 Astronomy Israel notches another proposal as Ben Waldhaus proposed to his bride-to-be, Joy, on the night of August 31. Joy is from France and enjoys the songs of Edith Piaf, so we had a little musical interlude of her songs during and after Ben's proposal. Here is the couple pictured below just after Ben proposed. My bad for taking so long to post the news and wish the couple a big Mazal Tov!